There's no law saying you have to put a hot dog in a hot dog bun. 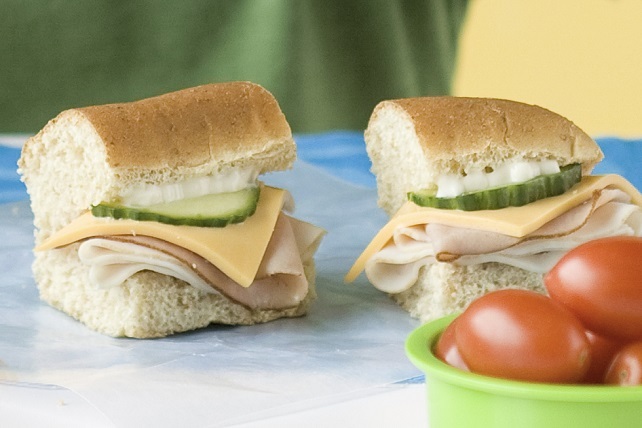 We used a bun to make this Lunch Box Sub Sandwich. Worked like a charm! Serve with 1/2 cup grapes and 1/2 cup grape tomatoes. Substitute OSCAR MAYER Deli Fresh Honey Ham for the brown sugar ham.